Time4Learning is pleased to help homeschoolers successfully educate their families by offering more than just an online curriculum for preschool to high school. 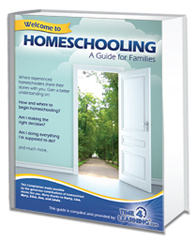 We also provide families with tools, tips, and homeschooling resources to help them along their journey. Links to both homeschool information and parent forum discussions for each state. In addition to being a convenient and flexible curriculum for homeschool,Time4Learning can be used as an alternative to afterschool tutoring, for standardized test preparation, and for summer skill sharpening. While most of our state representative positions have been filled there are many other opportunities to work from home for Time4Learning. Please complete this assessment to indicate your interest so that we can place you where there is the best match of your skills and our needs. To find out more about state-specific resources and legal requirements, websites such as Homeschool.com, The Home School Mom, and Homeschool World offer great information, as well.